The term “Cosmetic Dentistry” is used to define a myriad of procedures that are specifically designed to improve the appearance of the teeth. Cosmetic procedures range from ultra-conservative recontouring and teeth whitening, to techniques involving the placement of tooth-colored porcelains to change the color, shape, size, and position of teeth. Dr. Hyde will help you decide which procedures are right for you. 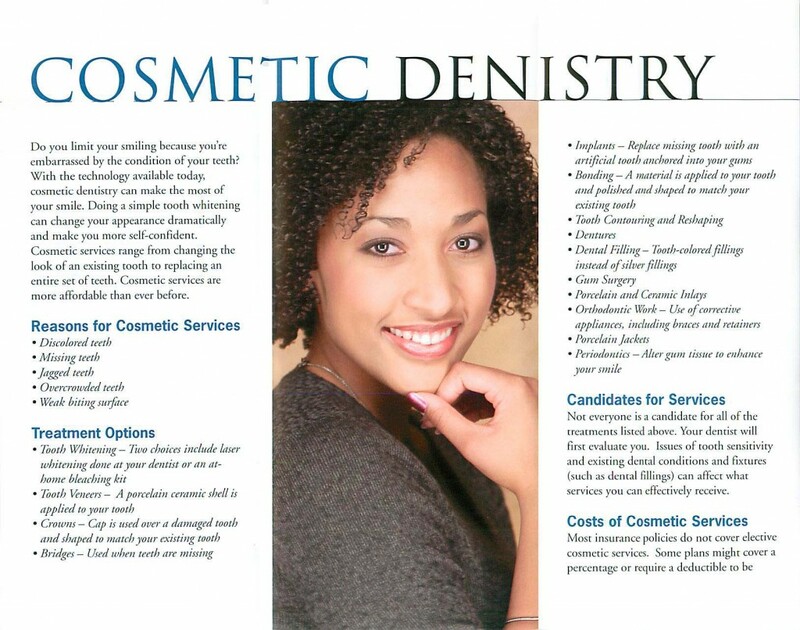 Cosmetic dentistry done right begins with a personal consultation. Dr. Hyde will discuss what you like and dislike about your smile. With a variety of procedures available, from clear braces to Veneers, we can create a treatment plan especially for you. As a conservative cosmetic dentist, Dr. Hyde will suggest the most non-invasive procedure available to meet your needs. Dr. Hyde and our team look forward to welcoming you to our dental family. Call today to speak with one of our friendly treatment coordinator and learn how we can give you a smile worth sharing.